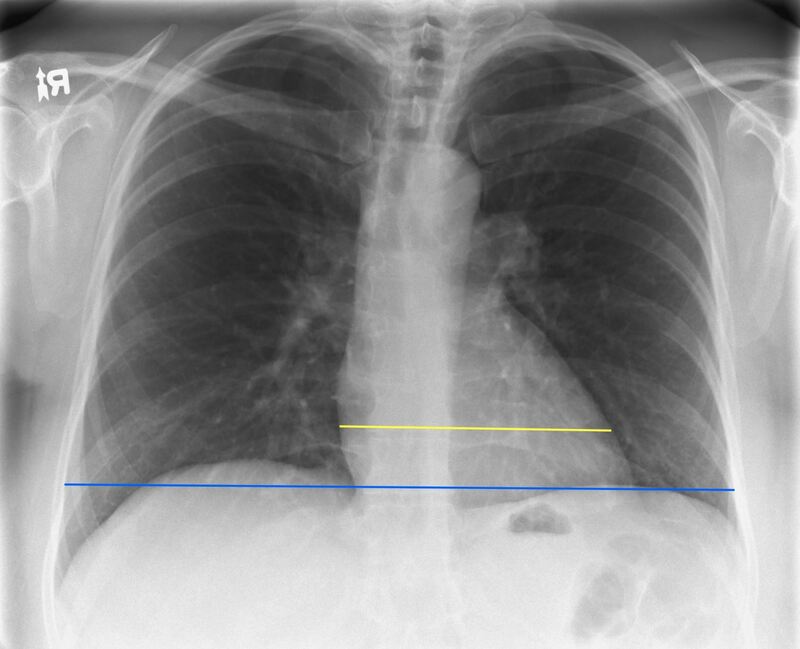 As the left ventricle dilates, the shadow of the heart becomes wider on the chest x-ray. The width of the heart compared to the width of the thorax is called the cardiothoracic ratio. A normal cardiothoracic ratio is < 0.5. In other words, the heart should be less than 50% of the width of the thorax. 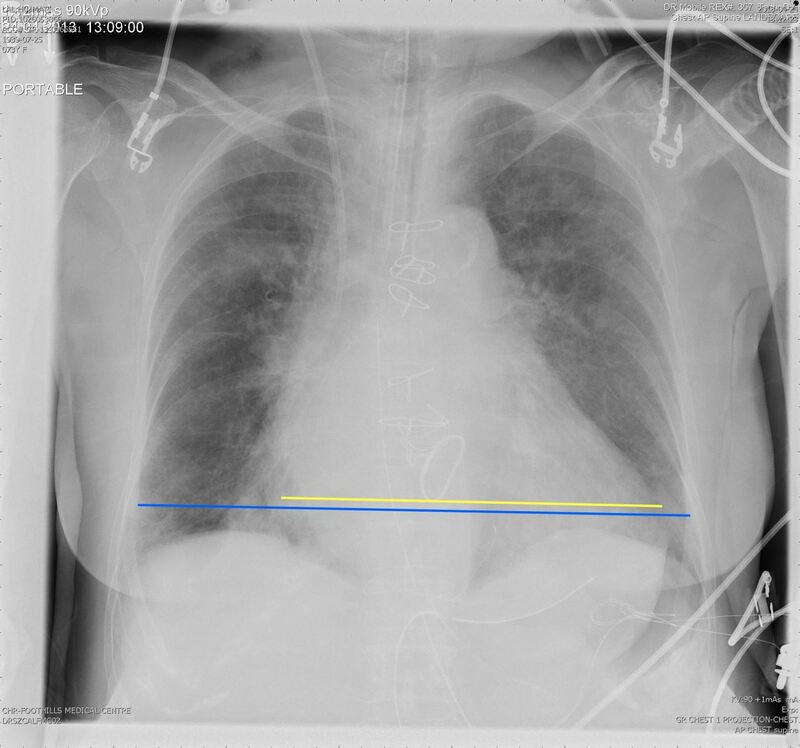 There are addition abnormalities in this chest x-ray that we will discuss in later modules. That was the last lesson!